The quest for happiness has become a nearly archetypal feature of Western culture, not to mention a nation such as Bhutan, where happiness is a department in the government's social policy planning (Gross National Happiness Commission). This is an interesting study. Fortunately, BPS Research Digest offers a nice review of it - the original article is paywalled - but I am including the abstract at the bottom of this post. A common view in contemporary Western culture is that personal happiness is one of the most important values in life. For example, in American culture it is believed that failing to appear happy is cause for concern. These cultural notions are also echoed in contemporary Western psychology (including positive psychology and much of the research on subjective well-being). However, some important (often culturally-based) facts about happiness have tended to be overlooked in the psychological research on the topic. One of these cultural phenomena is that, for some individuals, happiness is not a supreme value. In fact, some individuals across cultures are averse to various kinds of happiness for several different reasons. 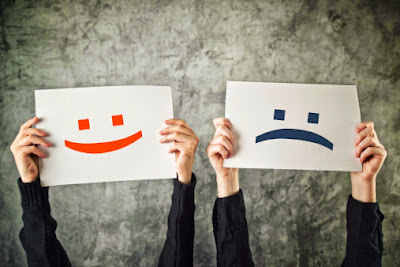 This article presents the first review of the concept of aversion to happiness. Implications of the outcomes are discussed, as are directions for further research.